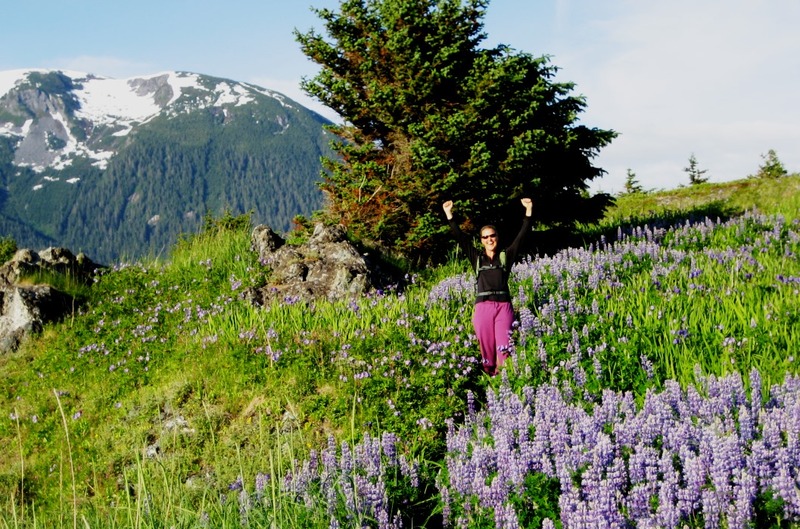 Come see the amazing mountain and ocean views of Southeast Alaska on this fabulous coastal hike. Watch for such wildlife as eagles, whales, seals, and bears as you trek over terrain ranging from old growth forest to beachfront trails. Medical Restrictions: This is a physical activity and it is the guest's responsibility to determine that they are physically and mentally able to participate in the activity. Guests must disclose pertinent medical history to guides. Join this spectacular hiking adventure that immerses you in the incredible beauty of Southeast Alaska, where you will be surrounded with amazing mountain and ocean views. Your adventure begins with a fascinating driving tour of the town, including Fort Seward National Historic Landmark and the parade grounds. 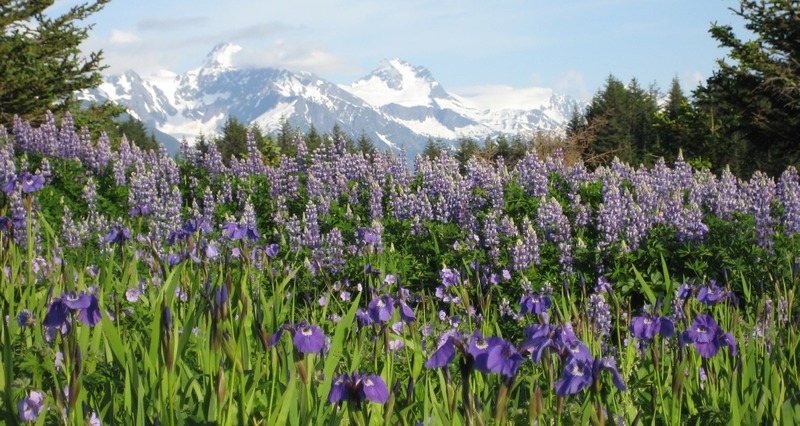 Your guide will regale you with the interesting history and culture of the Haines area including the local gold rush and chronicles of the Native Tlingits. From the trailhead, spend the next 2.5 to 3 hours hiking, surrounded by views of towering, snow-capped mountains and Lynn Canal. 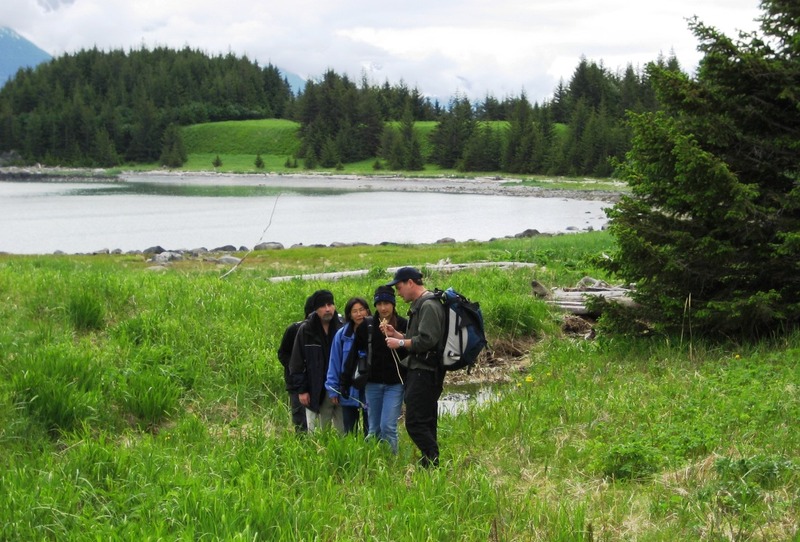 Your naturalist guide will share his/her knowledge of the area’s flora and fauna, and the amazing glacial history of Alaska. You may see eagles, waterfowl, whales, seals, bears and moose. Each group is outfitted with binoculars to maximize your opportunities to see up-close the wildlife and the spectacular mountain and river scenery. Midway through your hike you will take a beach break to enjoy a delicious smoked salmon snack and to take in the magnificent views. This is a great family experience and kids are welcome. Please note: The exact hiking location may vary with weather conditions. Wildlife sightings are likely but are not guaranteed. (~ 10 minutes) – Your friendly guides will meet you near the Port Chilkoot Cruise Ship Dock in Haines. Before departing you’ll be able to ask any questions that you might still have about your upcoming hike and you’ll have the opportunity to use the restrooms before departing. (~15 minutes) – From our meeting point we’ll take a short drive through historic Fort Seward on our way to the Kelgaya Point trailhead. (~5 minutes) - At the trailhead your guide will give you a thorough safety briefing and orientation before we hit the trail. (~ 2.75 hours) – We’ll hike through old growth rainforest out to the rocky beach along the Lynn Fjord. Take in the views along the hike as your expert guide shares their knowledge of the flora and fauna and unique geological history of the area. We’ll stop on the beach for rest and a locally caught smoked salmon snack. From here we’ll hike back along the trail to our starting point at the trailhead. (~15 minutes) – Back at the trailhead we’ll hop back in our van and head back to our meeting point near the Port Chilkoot dock which is a short walk from downtown Haines and many shops and restaurants. Our guide will meet you 15 minutes prior to the tour start time to make sure all necessary paperwork is completed. You will meet your guide on the Southeast corner of the main cruise ship dock in Portage Cove. CLICK HERE to see a map pointing to this location. You guides are experts in the industry. They are fun, well-trained and passionate about guiding and sharing their expert knowledge about the history and natural wonder of Haines and Skagway, Alaska with you! Our staff all go through extensive training and hold current first-aid (mostly WFR and WEMT) certification. Many of our guides also lead courses and guided expedition trips for us both in Alaska and throughout the world. Yes – restrooms are available on the dock prior to departing for your tour and a non-flushing “outhouse” style restroom on-site. Do you cancel due to weather? Our tours embrace Southeast Alaska’s unpredictable weather. Our tours run rain or shine. If in a rare instance weather does cause us to cancel the tour you will be refunded in full and provided with assistance with finding an alternative activity for the day. You’ll be hiking over uneven, natural terrain. There are exposed roots, rocks and sometimes muddy sections. The trail has relatively little elevation change but has sections taking place on loose beach rock. This hike was very pretty. We were on a gravel trail initially, which then went to dirt and felt a little more adventurous. We hiked out to the peninsula south of town. It was gorgeous. We walked along the rock beach when we got out there and were astounded by the beautiful views. It was so peaceful and serene. Sadly, I don't think we saw any animals. Our tour guides, Abby and Tom, were fantastic. I can't say enough nice things about them. They were knowledgable and friendly and even carried people's backpacks and water. They brought snacks, and the peaceful peninsula was a great place to enjoy them, take pictures, and just relax. It was a great start to our day!